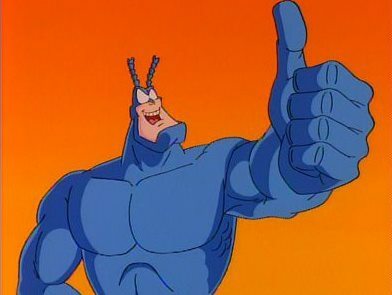 Rumors have been circulating since 2014, but Deadline is reporting in an exclusive that The Tick is indeed returning to television thanks to Netflix. The show will be returning after two previous stints on television 1994 for an animated series and 2001 for a live action version. It had previously been rumored to return with Amazon. The series creator Ben Edlund is back as writer and executive producer and Barry Josephson will also be exec producer. Griffin Newman will be playing Arthur, while Valorie Curry will be Arthur’s sister Dot. Patrick Warburton had previously played the Tick, and it has not been announced who will be taking on the role. In this version, the Tick will be recovering from memory loss and will reteam with Arthur to fight evil. It’s unknown what other characters from the animated, live action, and comic series will appear.